Contributions to The Middle Road project will help support travel and film expenses associated with the photographic expedition during the upcoming 2020 election. 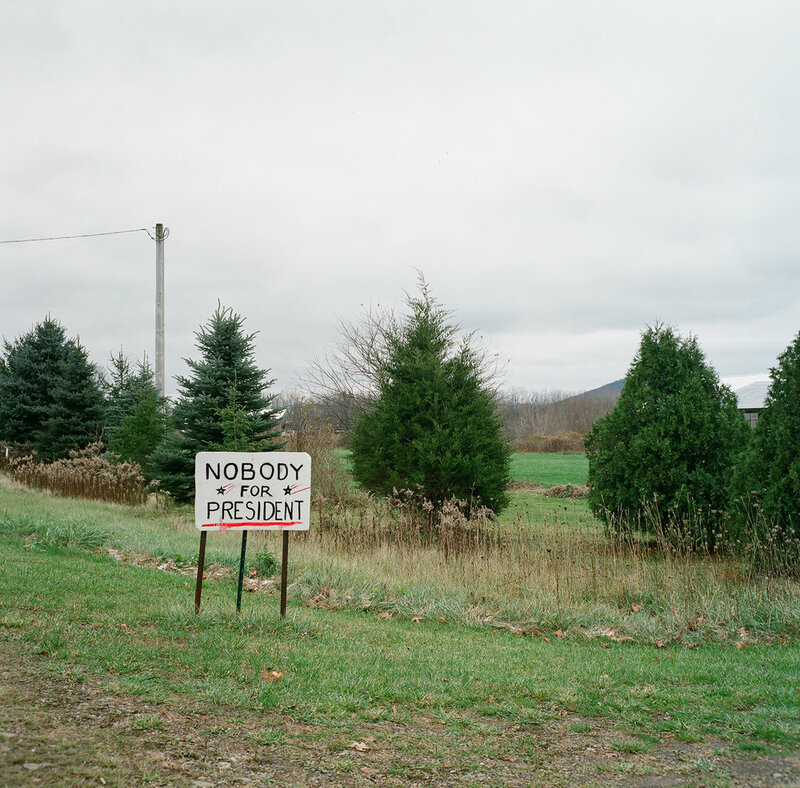 The goal of this project is to publish a book of images representative of the American landscape during the recent course of American politics (2008-2020). Thank you for supporting the documentation of this unique moment in our collective political landscape. Share your name, email and area of interest so that I can let you know when there's news! Prints are custom printed to order with a maximum edition of 10. Portfolio images are digitally printed from 120mm or 35mm film onto archival papers at 8”x10”, 12"x12", and 20"x20". Sarah Windels is a fine art film photographer based in Oakland, CA. Her projects take her on the road, and back home, to explore time and place.